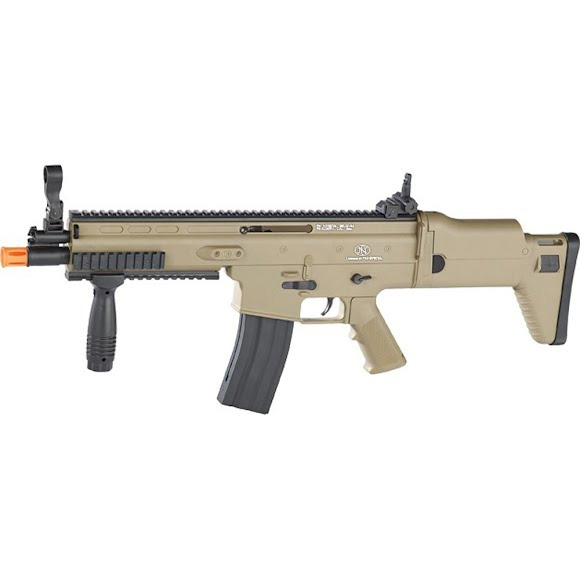 Highly modular and instantly adaptable, the FN SCAR®-L Spring Airsoft Rifle from Palco is a high performance heavy weight spring model with a shooting range of up to 50 yards. Features include highly functional rail systems, foldable sights, and a high capacity magazine. A rail system for a Airsoft gun is a platform for adding accessories on. This allows a player to customize his or her own airsoft gun. You are then able to add scopes, red dots, lasers, fore grips and anything else that is meant for a rail system.